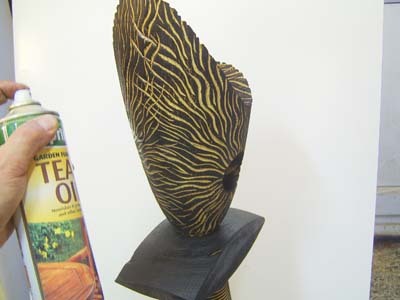 For this project I wanted to make a tall sculptural form that could either be placed in a living room or garden. An unseasoned 180mm (7in) square x 1200mm (48in) long oak (Quercus robur) post was chosen for several reasons. Oak will withstand the natural elements if placed outside. It is also not possible to obtain wood of this thickness that is fully seasoned so the natural cracking that will occur over time has to be taken into consideration, and included within the design process. 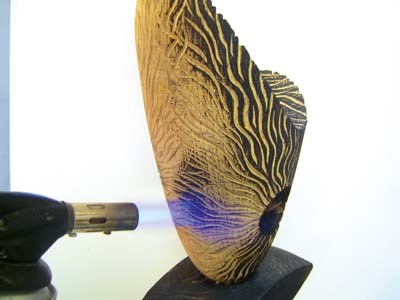 The sculpture has been kept organic with texturing and scorching being incorporated that will complement the cracks that will naturally occur over time. 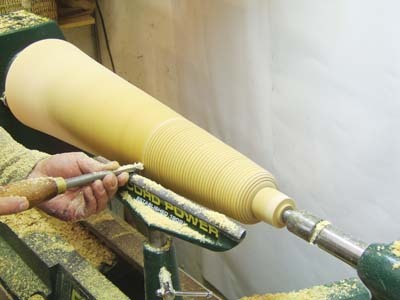 All tooling marks have been left with no sanding or scraping being used, thus adding to the overall texture of the form. 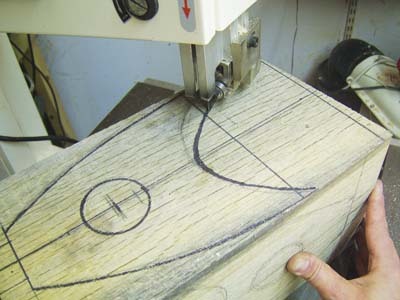 If you do not like the idea of your project cracking then you can simply scale it down and use a piece of 100mm (4in) square seasoned wood, meaning it could then be displayed in a cabinet or on a shelf. It is important, however, to recognise that, at times, cracks within wood are a natural process if you are using stock that is sized over 100mm (4in) square. Oak has been used as a building material for hundreds of years with the maker having the knowledge that the wood will move and crack and using this to advantage to secure joints etc. 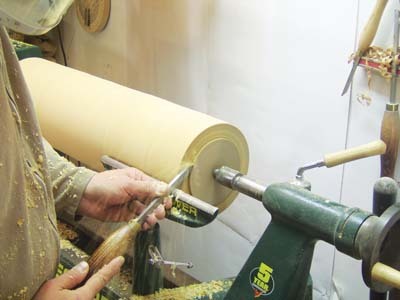 It is only recently that we have become accustomed to viewing wood as needing to be perfect in its finish. There is, however, so much more that can be achieved and embraced with this wonderful material, and hopefully this article will provide you with some new ideas. 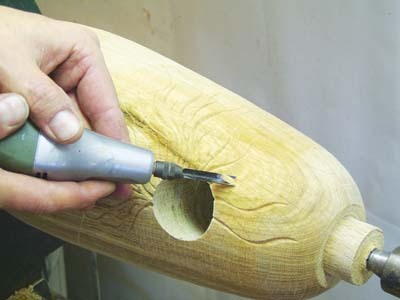 Allowing the wood to naturally crack without control is an exciting part of the process. 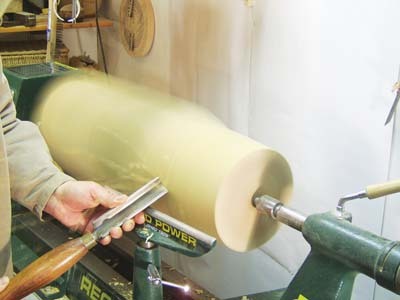 A cutting tool with a deep flute and a heavy cross-section. 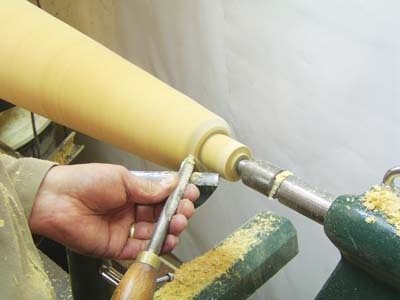 These are normally made from round bars and the flute is milled out. 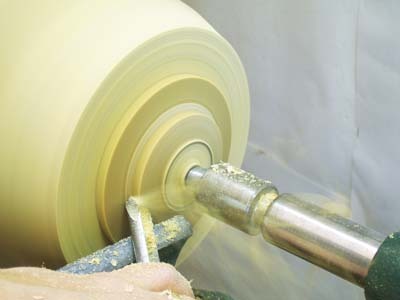 The round bar fits into the handle thus giving the tool a great deal of strength to enable it to overhang the toolrest a long way in order to hollow out deep bowls. 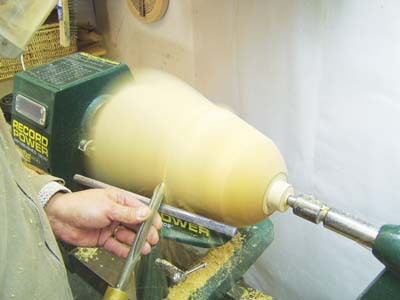 Its primary function is for faceplate - or bowl turning - but it can also be used in spindle work. 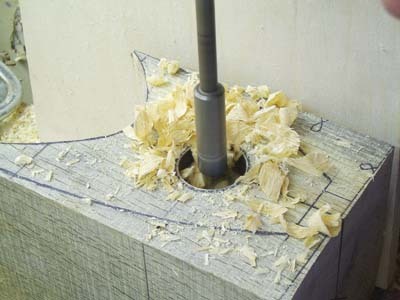 The bevel angle is ground to suit the user but is anything between 40 degrees and 80 degrees. 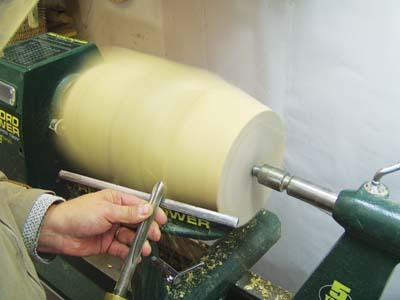 Traditionally, bowl gouges are ground straight across, but many turners prefer to grind the wings back. 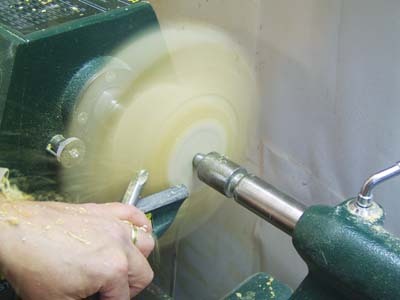 There are many terms for a swept back bowl gouge - fingernail grind, O'Donnell grind, Irish grind, Ellsworth grind, lady's finger - to name a few. There may be subtle differences in these grinds, but generically they are all bowl gouge grinds where the wings have been ground back. 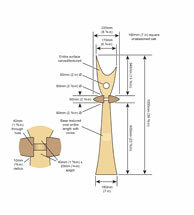 As the picture shows, there are several different types of parting tool - three of which are shown here. 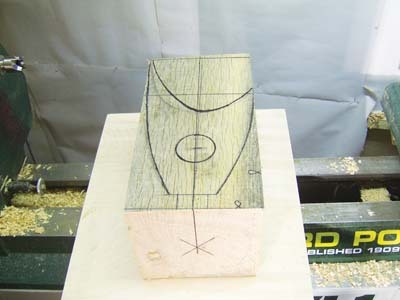 On the left is a narrow (3mm) parting tool which is very useful when parting work where the least amount of grain mismatch is desirable, for example when parting the lid from the base in box making. 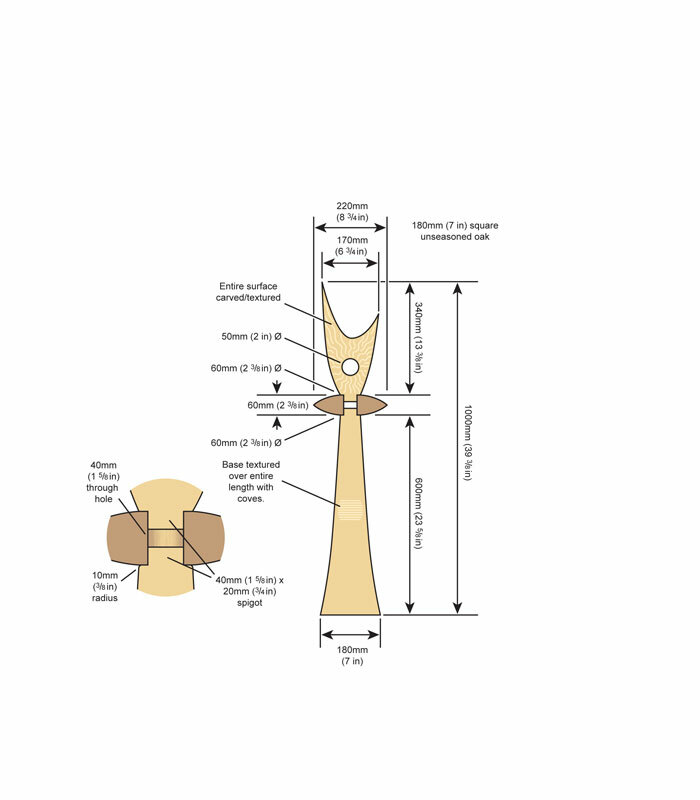 The middle tool is a straight sided, standard parting tool and the one on the right is a diamond parting tool where the widest part of the tool is at the cutting edge. 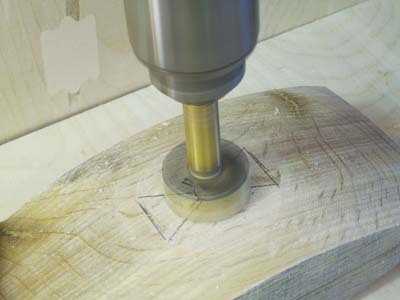 This can be advantageous when cutting deep grooves because it means less of the tool is rubbing on the sides of the groove. 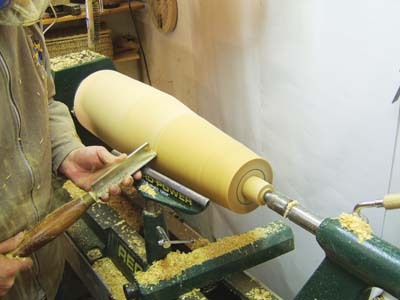 Parting tools primary task is to part wood off in spindle work but they are also used to cut tenons or spigots and grooves. 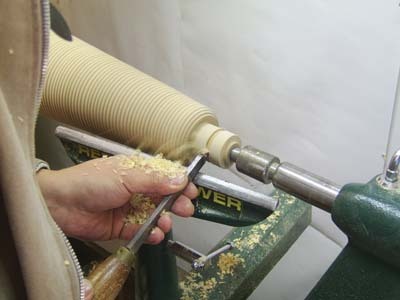 They can also be used to cut beads. After serving in the police force for 12 years, Mark started turning as a way to relax. 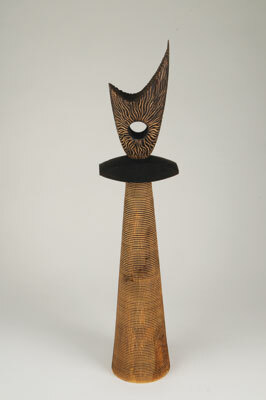 He now teaches, demonstrates and writes on the subject as well as selling his work through galleries and commissions.